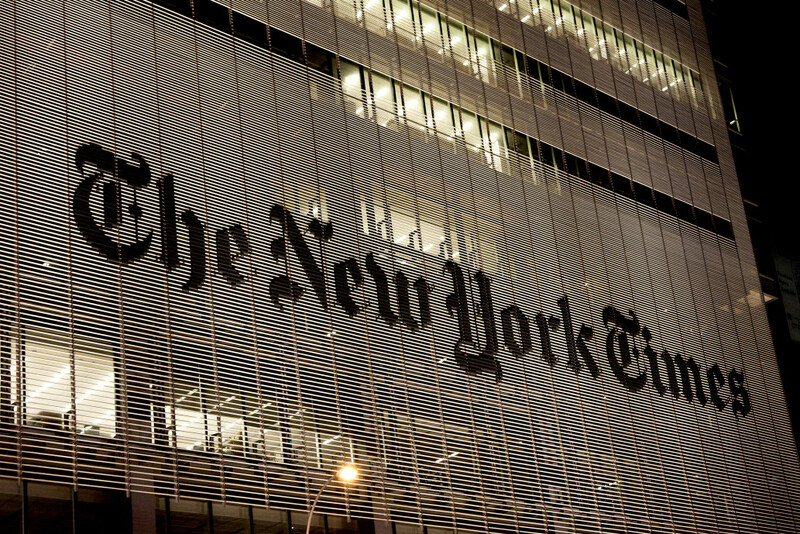 A friend likens The New York Times to a 1960s adolescent who refuses to grow up. In a perpetual state of outrage, it is a newspaper of college snowflakes who embrace all forms of diversity except thought. It sees its liberal politics not as a point of view, but as received wisdom that cannot be legitimately disputed. The fixation on conformity reached a new low last week when the paper rolled out a coordinated attack on those of us who believe special counsel Robert Mueller ought to resign. I say coordinated because the newsroom and the opinion page produced similar pieces on the same day, showing again how Executive Editor Dean Baquet has erased the barrier between news and opinion and turned every page into an opinion page. 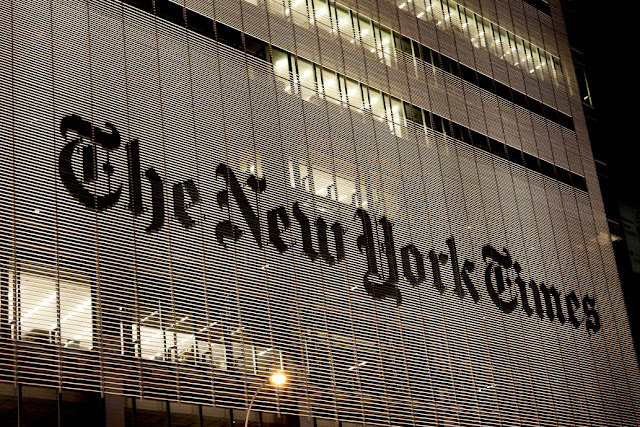 The animating impulse for the assault is obvious — the Times is locked into its mission of destroying President Trump, and, like Hillary Clinton, still cannot accept Trump’s election as legitimate. Consider that the paper’s dozen Op-Ed columnists are all Never-Trumpers. That’s either a remarkable coincidence or a litmus test for hiring. But the paper, following a bad habit it developed during Barack Obama’s presidency, is not content with advocating its positions. Behaving like a party propaganda outlet, it takes a coercive approach to anyone with a different view. Objections are demonized as heretical. The reactionary tone of both pieces last week, and following ones by columnists Nicholas Kristof and Bret Stephens, carries the unavoidable assumption that Trump is guilty of colluding with Russia, and so critics of Mueller are subversives with unpatriotic aims. His straw man is a diversion and his logic turns the concept of evidence on its head, making it required before an investigation can start. Isn’t the point of investigations to find evidence? Besides, if the lack of evidence is sufficient to avoid investigation, why is Mueller still investigating Trump, since more than a year of FBI probes has turned up no evidence of Trump wrongdoing. why bother to smear a handful of skeptics? My great sin was to argue that Mueller’s close relationship with his successor at the FBI, James Comey, was always a problem and that recent developments created a situation that was fixable only by resignation. Those added conflicts include the revelation that Clinton’s campaign and the Democratic Party paid for the Russian dossier against Trump, with some of its paid sources linked to the Kremlin. Because the FBI reportedly used the dossier to launch its probe of Trump and considered hiring its author, any probe faithful to Mueller’s assignment would include an examination of the FBI’s role in 2016. That would put Mueller in the untenable position of investigating the agency he led for 12 years. Moreover, as questions grow about whether the Obama White House used the dossier as justification for unmasking Trump associates picked up in wiretaps in an attempt to swing the election to Clinton, Mueller’s probe must also examine the previous administration. But that, too, is an impossible task for him because he spent more than four years working for Obama, where he was a colleague of ­Clinton’s. Resignation under these circumstances is not a radical idea, especially because I did not call for the Russia probe to end. I merely stated an obvious fact about how serious conflicts of interest are routinely resolved in the criminal-justice ­system. For example, a judge with Mueller’s relationships and history would almost certainly be recused from overseeing those cases, so why should a special counsel investigating the president be held to a lesser standard? And if Justice Department rules required Attorney General Jeff Sessions to recuse himself from anything related to the 2016 campaign because he was a Trump surrogate, those same rules should apply to Mueller’s relationship with Clinton, Obama and Comey. In the end, the Times’ rabid ­defense of Mueller resembles the debacle of its 2016 campaign coverage. It never saw Trump’s victory coming because it was blinded by its hatred for him and contempt for his 63 million voters. A year later, the Gray Lady has learned nothing.